Travel Agency, Destination Wedding | Windsor, CO | All Inclusive Reservations, Inc. 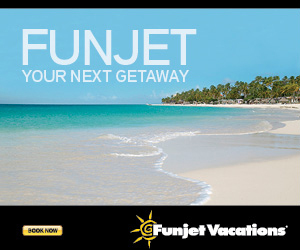 Looking for All Inclusive Resorts or Cruises ?? Our years of experience and first-hand knowledge of destinations and resorts will make your dream vacation a reality. We know the resorts throughout Mexico, the Caribbean Islands, Costa Rica and Panama.. Thinking about going on a cruise? Let us know.. Designing your ultimate vacation experience! Contact a travel designer today. Golf or Spa Stress Release/Decompress. Whatever the reason, whomever you care to travel with: let our team of experts send you there.. the beach is waiting for you! vacation resorts in Mexico, Costa Rica, Panama , Jamaica, Dominican Republic and almost every Caribbean Island. 2. Detailed Oriented Service- We tailor your travel needs, designing your vacation your way! No vacation should be the same, that is why we design it specifically for YOU. 3. Competitive Pricing- We do the research and shopping for you delivering the best designed packages. This saves you time and money. 4. Low Deposits- Our Simple Payment Plan makes it easy to make your next vacation a reality. 6. Travel Insurance- You never know what could happen before or during your trip. We highly recommend adding insurance to protect your investment. We offer Cancel for Any Reason Insurance, offering 100% refund of your airline and hotel money. 7. Dedicated Travel Designers- Standing by to design your trip, your way. Whether you want to escape to an Adults only resort, or decide on a family resort with a water park. We can design the perfect vacation for you. 8. Cruises- Offering ocean and river cruises. 10 year cruise expert available to assist you . 9. Destination Wedding- We can help. We offer personalized service and we do not charge fees. We assist with all the details so you can have fun with your family and friends. We make it easy to say " I DO". 10. We are with you with every step providing award winning service for all your travel needs. We help plan your itinerary and pick your accommodations. We search for the best prices and inclusions for all inclusive resorts, cruises, tours and transportation. The internet has alot of information, but who do you trust? We share our knowledge, experience and expertise truthfully, allowing you to enjoy a memorable vacation. 11. We make it easy for you, providing value and hands on service. 12. All Inclusive Reservations, Inc. we believe relationships matter, a personal touch is appreciated and customer service is not a lost art. Elly Sterlacci, owner and founder of All Inclusive Reservations is an award winning travel agency, recognized industry travel agent. Her knowledge of all inclusive resorts is extensive. Sharing this knowledge with you to create your vacation of a life time. Need Your Vitamin Sea !! Ocean Breeze puts your mind at ease! Located on one of the most impressive beaches of the Caribbean and surrounded by the legendary beauty of the Riviera Maya, the Barceló Maya Palace 5-star hotel is a spectacular luxury resort with exclusive services. All of its rooms are Junior Suites or Suites, all of which offer luxury details and comforts to guarantee an extraordinary experience.The hotel has 6 restaurants, all with a view of the Caribbean Sea. Buffet and à la carte restaurants specializing in Brazilian, French, and Caribbean (seafood) cuisine, as well as other world cuisines. Everything falls under the Barceló All Inclusive program and is of exclusive use for the guests of this hotel. The excellent facilities of the complex include 3 spectacular pools, one for adults only and one water park for kids. It features a gym, shopping center, U-Spa, miniclub and the U-Kids Spa. Sports lovers can play in the ocean or the sports-enabled areas. At night, you can enjoy a magnificent selection of leisure and entertainment choices. Dreams Dominicus La Romana is set beachfront in Bayahibe - an ideal location to explore the region, or to just enjoy some rest and relaxation in the Dominican Republic. Lounge by one of the three pristine swimming pools or retreat to the expansive spa with peaceful treatment spaces, gardens, and hydrotherapy areas. The top championship golf courses in the Caribbean are just minutes away as well as the most popular excursion in the country – Saona Island. It will be a vacation to never forget for kids and teens with the adventures, games, and social activities at the supervised Explorer’s Club and Core Zone. There’s something for everyone at Dreams Dominicus, and best of all, it is all included with Unlimited-Luxury®. The Barceló Aruba***** (5-star) hotel (belonging to the Barceló Hotel Group and formerly the Occidental Grand Aruba) transports its guests to a unique beachfront experience in Palm Beach, on the Caribbean island of Aruba. It stands out for its spectacular sports and leisure activities available to guests that are closely linked to the delightful beach where the hotel stands. Guests can watch truly idyllic sunrises and sunsets from its 373 rooms, which all feature a balcony. This resort provides the opportunity to enjoy maximum relaxation, whether that be a refreshing dip in its spectacular swimming pool or sunbathing in the stunning gardens. It also offers exciting sporting activities, with tennis courts, supervised activities and a variety of water sports on the beach, such as snorkeling, diving and beach volleyball. The hotel’s rich and varied culinary offering will satisfy the most demanding palates with international dishes, buffets, à la carte menus, and aperitifs, served in its 6 restaurants and 3 bars. Leisure and evening entertainment also take priority, from the fabulous casino to the DJ sessions. The Hotel Riu Negril is an all-inclusive hotel overlooking Jamaica's spectacular Bloody Bay Beach. The large number of services it offers its guests makes it one of the best hotels in Negril in which to enjoy an unforgettable vacation with RIU Hotels & Resorts. This hotel in Negril, Jamaica has over 400 rooms in 4 independent buildings, offering you maximum comfort. In its rooms you will find satellite TV, air conditioning, a safe and a minibar with a drink dispenser, as well as many other amenities. In addition, all of the rooms have a balcony or terrace from which to enjoy the impressive views from the Hotel Riu Negril. The facilities at our all-inclusive hotel in Negril were designed to offer you everything you need to enjoy a one of a kind get away. You can enjoy the warm Jamaican climate in its pools with a swim-up bar, take part in water sports on the beach such as scuba diving, kayaking and windsurfing or relax at the Renova Spa facilities, a full-service beauty and wellness center. With an unrivaled location just steps from world-famous waves at Waikiki Beach, the resort affords effortless exploration to the islands attractions, from Diamond Head Crater, Honolulu Zoo and Waikiki Aquarium, to world-class shopping, sophisticated dining and expert surfing lessons. Hyatt Regency Waikiki promises Hawaiian-style excitement paired with the warmth of authentic Aloha spirit. This is a new, modern, all inclusive family chic resort on a beautiful pristine beach with a FUN water park for young children. Enjoy the refreshing lazy river at any age. You will love the large junior suites with Jacuzzi tubs including wonderful amenities. Outstanding restaurants, top of the line service, fun sports bar and my favorite-the martini bar. Including free WIFI. Everyone of all ages will have a great time and one of my most requested properties. Guests can enjoy the 'stay at 1 play at 2' benefits of side-by-side luxury all-inclusive resorts with access to adjacent Royalton White Sands. A family resort which makes you smile at any age. Including everything a kid would want, plus luxury accommodations for mom and dad. Outstanding restaurant experiences, best in Punta Cana in my opinion. Family Vacations - Above anything else, making memories with family and loved ones are what makes vacationing at Nickelodeon Hotels & Resorts Punta Cana worthwhile. Whether it's building sandcastles, staying up late for midnight room service, or getting Slimed (something surely on everyone's bucket list), these are the moments that truly mater. Beautiful beaches, luxury accommodations, infinity pools and the Karisma Gourmet Inclusive Experience. Rest up for this place!! The family resort with the active in mind!! Riu Palace Punta Cana is within the RIU Resort complex together with the Riu Palace Bavaro, Riu Palace Macao, Riu Bambu and Riu Naiboa, and like its neighbors it offers an entertainment program that guests can enjoy all day long. This All Inclusive resort gives you the opportunity to try out various activities and sports such as table tennis, gymnastics, water polo, volleyball, windsurfing, sailing, kayaking, bodyboarding and much more. The Splash Water World is a new addition to the RIU Punta Cana complex and is complimentary for all guests. There are waterslides, toboggans, solarium, snack bar, and food and beverages (included).